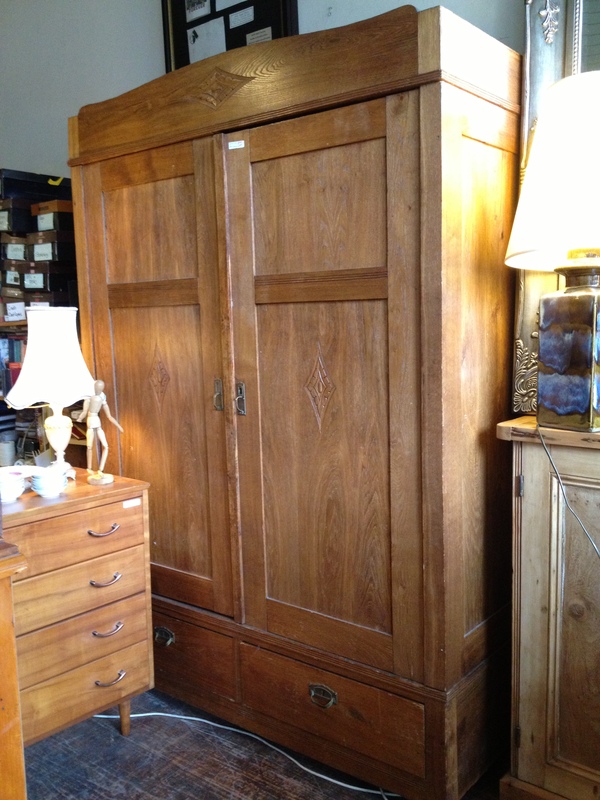 A substantial two door oak wardrobe or cupboard from Northern Europe, possibly Germany or France. It is rare not just for age but in that it also has the ability to be easily carried up a spiral staircase to loft or garret accommodation. In most English and Australian wardrobes the top and bottom are detachable. However in this case the doors, sides and back also come off. When that is done without tools it is doubly remarkable. How many times this has been done since the 1880’s when this cabinet was made, we couldn’t say. $445. The interior can be hanging or shelves as a result of some later alterations. .